Some words about words are necessary. The word “Earthian” is used as the proper noun referring to things of Earth. Although perhaps not as common in mainstream literature, particularly science fiction, as “Terran”, it is often preferred in academic writing. (The term was also oft-used by one of the 20th century’s greatest geniuses, R. Buckminster Fuller.) It is also a more suitable word than “terrestrial”. Although “extraterrestrial” means “not from Earth”, “terrestrial” is more usually an antonym of “aquatic”, i.e. meaning “of the land” rather than “from Earth”. The equivalent proper noun for Mars is “Martian”. The words “Earthian” and “Martian” are always capitalised (e.g. “she is a Martian”, “the Martian sky”), being proper nouns analogous to “Australian”, “Italian”, etc. The words “Earth”, “Moon” and “Sun” are also proper nouns and therefore always capitalised. In accordance with modern usage, the word “Earth” is not preceded by the definite article “the”, unlike “the Moon” and “the Sun”. When talking about Mars, the prefix “areo”, meaning “Mars”, replaces “geo”, meaning “Earth”, in words that normally begin with that prefix. Thus, “geothermal” becomes “areothermal”, “geology” becomes “areology”, “geostationary” becomes “areostationary”, and so forth. The unusual words “periareon” and “apoareon” refer to the low and high points, respectively, in an orbit around Mars. They are Martian equivalents of the words “perigee” and “apogee”, which refer to orbits around Earth, and “perihelion” and “aphelion”, which refer to orbits around the Sun. The word “methalox” refers to bipropellant comprised of liquid oxygen and liquid methane. There’s no standard term for this, and variants include LO2/LNG, LOX/LCH4, LOx/Methane, and every possible combination and permutation. Using the word makes the text more readable and reduces acronym density. As discussed in Timekeeping, the word “sol” appears frequently where you might normally expect to read “day”, because the crew will be operating on Mars time. However, the words “day” and “night” are still used for the light and dark parts of the sol, respectively. No special word is used for a Martian week, which is a period of 7 sols. For conciseness, the initialism “EVA”, which stands for “Extra Vehicular Activity”, refers to any activity outside a vehicle or habitat during which the astronaut is wearing a spacesuit. Although the initialism “EHA” for “Extra Habitat Activity” is sometimes used, “EVA” is much more common and often refers to working outside a habitat, even if it’s technically not a vehicle. There’s a large number of acronyms and initialisms in this book, drawn primarily from usage in space, science and engineering, plus a few from IT and military, and some have been newly invented for the purpose of this document. Unfortunately this is the nature of the topic, and acronyms are a preferable shorthand to the expanded version in most cases. Each is expanded on first use, and can also be looked up in the Abbreviations section towards the end of the book. Abbreviations for chemical formulae are also provided in the same section. In response to feedback and corrections received after the book goes live, or if I feel inspired to add new material, I may make updates and re-upload the book. In addition, if the right people like the idea, there could be progress with regard to actual implementation of the IMRS plan. 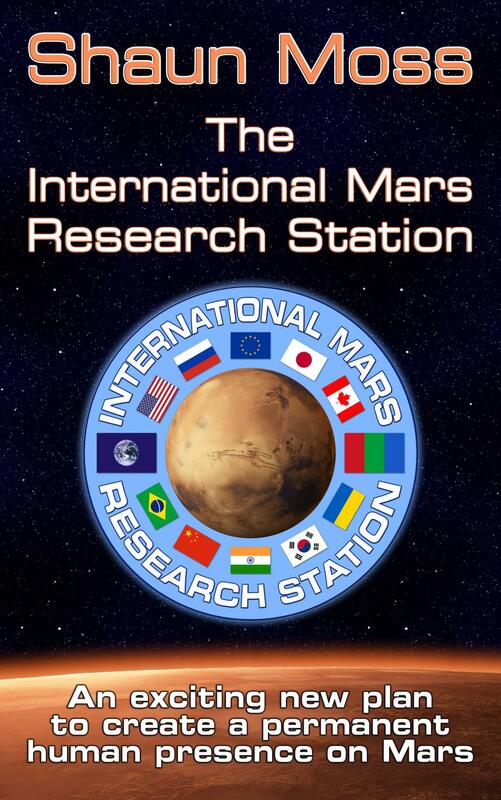 If you would like to be kept informed of updates like these, please sign up to the newsletter at marsbase.org.